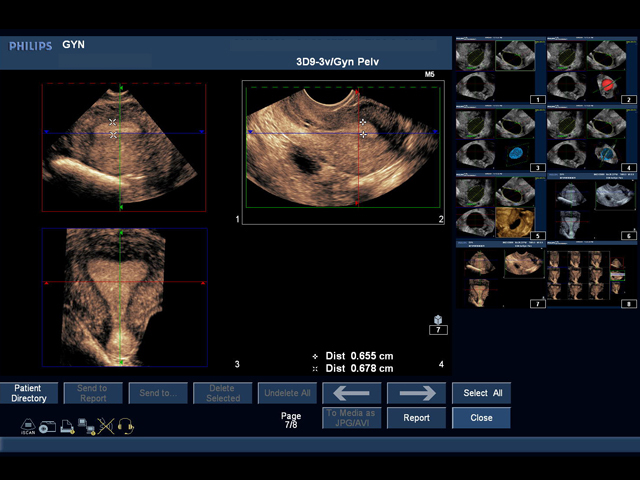 Extremely realistic ectopic pregnancy transvaginal ultrasound training phantom. This life-like training mannequin is excellent for training users to develop and practice the psychomotor skills necessary to perform transvaginal ultrasound exams on the patient with an ectopic pregnancy. 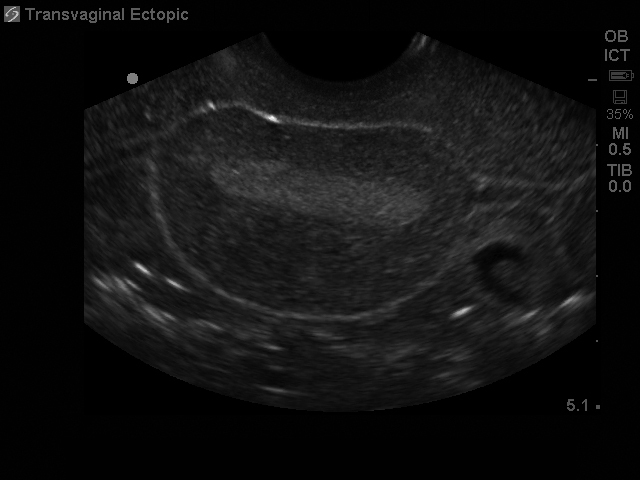 Use your ultrasound system for training; our tissue technology allows users to utilize their ultrasound system to practice all of the elements necessary to gain proficiency in performing transvaginal ultrasonography including identification of normal pelvic structures and pathology. And do it when you want, where you want, without the risk, inconvenience and expense of using human models. Develop, practice, and verify user’s ultrasound imaging skills including; using ultrasound system controls, transducer positioning and movement, recognition of internal pelvic anatomy and pathology, and use of obstetrical (Ob) ultrasound calculation packages to measure cysts, crown rump length (CRL), and the gestational sac. 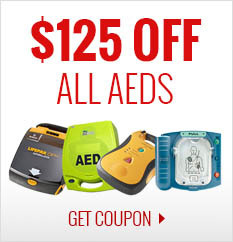 Excellent for using 2-D, 3-D, and 4-D ultrasonography imaging techniques. 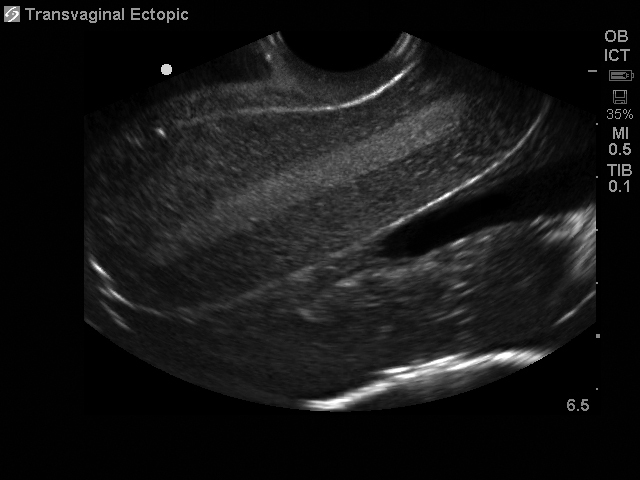 By accurately mimicking the feel and imaging characteristics of an actual endovaginal exam you can develop and perfect the skills necessary to utilize ultrasound in your clinical environment, while utilizing your own ultrasound system. 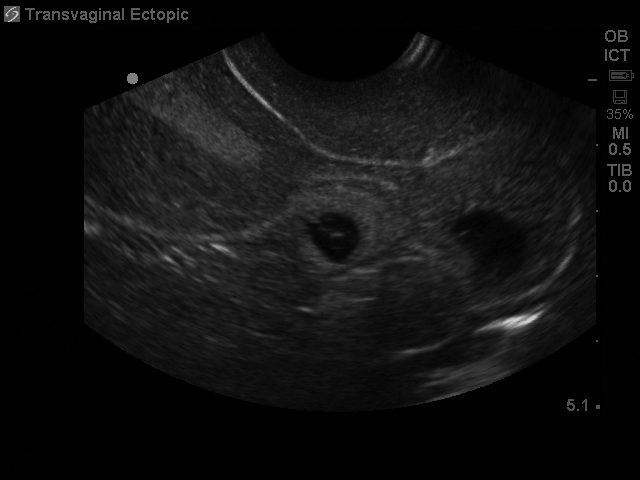 Use your ultrasound system to train users to perform endovaginal ultrasound procedures on patients in their first trimester of pregnancy with an ectopic pregnancy. Our tissue technology accurately simulates the ultrasound imaging characteristics found in the obstetrical and gynecological (Ob/Gyn) human patient. This is not computer simulation so you can train users to use your own ultrasound system and controls to gain proficiency in your realistic training environment. At Blue Phantom we expend tremendous effort to match the imaging characteristics of real human tissue allowing you to teach and train under optimal conditions. We know that the best simulation training scenarios are requisite on users experiencing the same procedural realism as performing the procedure on patients. All of our simulation materials match the acoustic characteristics of real human tissue so when you use your ultrasound system on our ectopic pregnancy transvaginal ultrasonography training models, you experience the same quality you expect from imaging patients in a clinical environment. 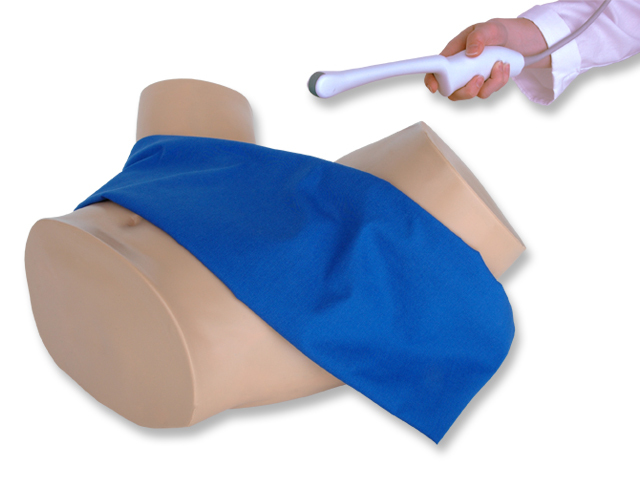 This medical simulation trainer will perform well using any ultrasound imaging system configured with the appropriate transducer (recommended ultrasound transducer; endovaginal ultrasound transducer 5.0 – 12 MHz). This ultrasound phantom model is excellent for specialties including Ob/Gyn, emergency medicine, fertility training programs, ultrasound training programs, simulation centers, medical education facilities, and ultrasound manufacturers for ultrasound education and demonstrations.